Kalai "This was the most amazing tour/ holiday i have ever been on. The people were so friendly and super welcoming and its makes such a difference when people are genuinely interested in where you come from and go beyond the call of duty to make you happy. The guide (Valerie) was able to answer questions about politics, local flora and fauna, local customs, menu options, places to shop or go out. He was..."
Start and end in Havana! With the in-depth cultural tour Western Cuba, you have a 7 day tour package taking you through Havana, Cuba and 3 other destinations in Cuba. Western Cuba is a small group tour that includes accommodation in a hotel as well as an expert guide, meals, transport and more. This trip is good and gave me good opportunity to see Cuba. Cuba is a beautiful but challenging country to run a tourist orientated trip in a communist country. It was an excellent taste of latin america. Be warned - Cuba is very expensive, tourism is their main income and everything charged. great overview of cuba in a week. although i just want to learn more now. a curious country unlike anything ive ever visited. it was good to see cuba in person and not just as a place on the news. This was the perfect introduction to Cuba. It was a good mix of city, countryside and beach time. 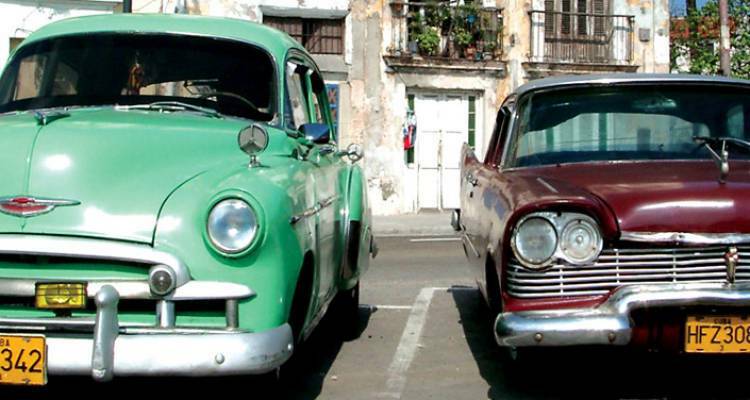 The Western Cuba tour is designed for passengers from ages 15 and above. Please note that under 18's must be accompanied by an adult. There are no upper age limits on this tour - travel is all about shared attitude and not age so if you're comfortable with the itinerary then your welcome to join! Do you offer visa assistance? TourRadar only requires a deposit of $99 to confirm this Intrepid Travel booking. The remaining balance is then payable 60 days prior to the departure date. For any tour departing before 18 June 2019 the full payment of $735 is necessary. No additional cancellation fees! You can cancel the tour up to 60 days prior to the departure date and you will not need to pay the full amount of $735 for Western Cuba, but the deposit of $99 is non-refundable. Covering a total distance of approx 298 km.